We are an alliance of the most talented college planners in the country. We believe that every student deserves a shot at the best college possible. Our approach is grounded in research and experience. We exceed expectations and enrich lives. We are a collective of some of the most talented college planning specialists. We've grown tired of seeing so many students and families limit their options or worse, get in over their heads in unnecessary debt. More importantly, we feel that what we do is important. We want to be a part of this important and life changing decision and in doing so, we hope to impart powerful and life changing guidance. We came together to share our strengths, wisdom and experience in order to bring you the most comprehensive college advising platform in the country. We are independent thinkers. We are optimists. We live to serve others. Our approach is based on years of unbiased and painstaking research. We discovered that there was a problem with rising higher education costs before it became mainstream and a frequent political soundbite. We developed a unique, compelling and proven solution that has been working for over a decade. We did our research: most families overpay for college. Actually, you don't have to do too much research. Just ask around. See how much families are borrowing to pay for college. The cost of attending even a public college can overextend a typical family's budget. Add to this the burden of multiple college students from the same household and you can understand why student loan debt is breaking our country. For many families, this does not have to be the case. There are techniques and strategies that you don't even know exist that can make all of the difference. Not all college planners or admissions counselors are the same. It's one thing to help you and your student identify the right college but if that college still comes at a cost of about $60,000 per year, how did they help you? The average family cannot manage the cost. If we build your college savings plan and generate strong returns yet provide no guidance on career and major selection, how is your college savings plan going to help you if your student transfers colleges, changes majors excessively, or just drops out? Instead of providing incomplete solutions to the same problem, we turn your problem into a single comprehensive plan. We will help you find and pay for the right college. It's that simple and we can probably help. We invite you to see what makes us different. Student loan debt is not the core issue. On-time graduation is what we are up against. Click the image above to access the Data Dashboard. We could not have said it better. This organization recognizes that the greatest challenge to a college degree is an on-time graduation. You can link to their Data Dashboard to see the completion rates in your state. 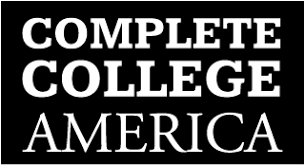 Complete College America is a non-profit that tracks college graduation rates across the United States.